We can proudly say we are the company of choice of so many people in London. This is because we possess everything necessary for an elite cleaning service. We know this business well and our teams pay close attention to detail. 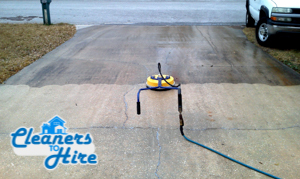 Cleaners to Hire will not only sweep and wash your patio but will make is as good as new. Depending on the type of surface we will approach the matter in a certain way. We cannot treat a wooden deck the same way as we would tackle a tile or a concrete. cannot be used everywhere because fragile surfaces might get damaged. But don’t worry, we have full insurance granting you a refund in case anything goes wrong. Patio cleaning also includes weeding. We understand that concrete areas or parts full of decorative gravel might contain undesired plants. We will not only make everything tidy again but will also help with some landscaping. Speaking of that, you can also receive gardening services and even landscaping junk removal at a discounted price. All of this can be done on any day of the week as we are available around the clock. The same goes for our customer support. Call our lines even during the night and speak to an associate regarding our offers and how exactly the whole project is going to happen. They will provide you with a consult completely free of charge. We will come up with a list of tasks depending on your needs. We are famed for tailoring our services to the clients’ needs.